Brand new solid 925 sterling silver Hawaiian honu turtle stud earrings. The earrings weigh approx. 1.3grams and have a very nice workmanship. Brand new solid 925 sterling silver yellow gold plated Hawaiian honu turtle stud earrings. 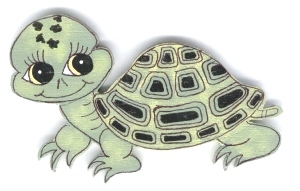 Each turtle measures 3/8" wide and 3/8" long. The earrings weigh approx. 0.8 gram. Turtle size: 10mm (approx 3/8") wide and 10mm (approx. 3/8") long. Weight: approx. 0.8 gram. Stamp: 925. Brand new solid 925 sterling silver Hawaiian honu turtle stud earrings. Each honu has pink gold plated on the back. The earrings weigh approx. 1.1 gram. Very nice workmanship and very shiny. Turtle size: 11mm (approx. 7/16") wide and 11mm long. Earrings length: 7/8" long. Weight: approx. 1 gram. Stamp: 925. Turtle size: 10mm (approx. 3/8") wide and 12.5mm (approx. 1/2") long. Earrings length: 1 1/16" long. Weight: approx. 1.6 gram. Stamp: 925. Turtle size: 10mm (approx. 3/8") wide and 9.85mm (approx. 3/8") long. Flower size: 4.5mm (approx. 3/16"). Weight: approx. 1 gram. Stone: clear Cubic Zirconia (CZ). Stamp: 925. Brand new solid 925 sterling silver Hawaiian honu turtle stud earrings. These honu has pink gold plated on the back. The earrings weigh approx. 1.9 gram. Very nice workmanship and very shiny. Brand new solid 925 sterling silver Hawaiian Plumeria flower with CZ in honu turtle stud earrings. The earrings weigh approx. 1.2gram and have a very nice workmanship. Yellow gold plated turtle size: 11mm (approx. 7/16") wide and 11mm long. Earrings length: 7/8" long. Weight: approx. 1 gram. Stamp: 925. Buy any amount of Jewelry for a fixed fee of $1.95 for shipping in the U.S. Turtle size: 10mm (approx. 3/8") wide and 9.85mm (approx. 3/8") long. Flower size: 4.5mm (approx. 3/16"). Earrings length: 1" long. Weight: approx. 1.1 gram. Stone: clear Cubic Zirconia (CZ). Stamp: 925. Brand new solid sterling silver (not plated, not bonded) heart dangling Hawaiian honu turtle earrings on wire. Heart size: 5.8mm (approx. 1/4") wide and 5.6mm (approx. 1/4") long. Turtle size: 11mm (7/16") wide and 11mm (7/16") long. Earrings length: 1 7/16" long. Weight: approx. 1.6 gram.